Spare parts and intellectual property have a long and complicated history, particularly as far as the car industry is concerned. A recent Court of Appeal decision has swung the pendulum back a bit in favour of rights holders. BMW v Technosport London Limited  EWCA Civ 779 is an appeal from the IP Enterprise Court, England and Wales' specialist IP court which handles relatively simple or low value claims. What had Technosport been doing? The IPEC judge at first instance decided that uses 1-4 infringed BMW's trade marks but uses 5-7 did not. 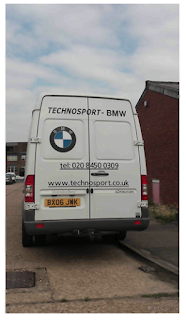 Uses 5-7 were referred to as the "Technosport BMW signs". Some use of a third party sign can be legitimate. In Case C-63/97 Bayerische Motorenwerke AG and another v Deenik  ETMR 339, the CJEU was asked whether advertisements such as "Repairs and maintenance of BMWs", infringed a BMW trade mark. "...Articles 5 to 7 of the directive do not entitle the proprietor of a trade mark to prohibit a third party from using the mark for the purpose of informing the public that he carries out the repair and maintenance of goods covered by that trade mark and put on the market under that mark by the proprietor or with his consent, or that he has specialised or is a specialist in the sale or the repair and maintenance of such goods, unless the mark is used in a way that may create the impression that there is a commercial connection between the other undertaking and the trade mark proprietor, and in particular that the reseller's business is affiliated to the trade mark proprietor's distribution network or that there is a special relationship between the two undertakings." It cannot be assumed by the average consumer that if the BMW mark is used next to a trading name that automatically means that the business is authorised but in this instance, the BMW mark was incorporated into the trading name i.e. "Technosport BMW" and therefore this was beyond mere informative use and carried the risk that it would be understood as misleading use. The use on the shirts - because there was no context to indicate that this was merely informative use, it conveyed the impression of authorisation by BMW and was therefore misleading. The van - there was an obvious risk that the average consumer would take the use as indication of a commercial connection because (i) there was nothing to indicate that it was informative use e.g. using "BMW repair specialist" separately from the word Technosport, (ii) the average consumer was unlikely to examine the website address and consider that because it didn't include the word BMW, Technosport was the company name and TECHNOSPORT-BMW was used in an informative sense, (iii) for services, the name of the business is much more readily taken to be use in relation to the services offered, (iv) the use of a trade mark within a trading style and without further explanation is naturally taken by the average consumer as an identifier of the business and services it provides. 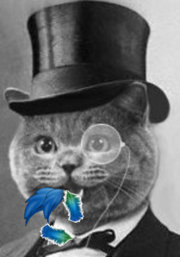 The Twitter account - whilst not the strongest point, it was another example of giving the impression of authorisation and not mere informative use. This decision provides some much needed clarity and a clear test for application across the spare parts and repairs world. It seems perfectly reasonable that if you want to use someone's mark to describe the services you can offer you make it clear that the services are not authorised or otherwise commercially connected with the company whose items you are offering to repair. Have I read this sentence incorrectly? "The IPEC judge at first instance decided that uses 1-4 infringed BMW's trade marks but uses 5-7 did not. Uses 5-7 were referred to as the "Technosport BMW signs". It seems to me that the rest of the piece suggests 5-7 were infringing because they were not simply'informative'. Hi Graham - The judgment concerned BMW's appeal of the First Instance judge's findings that items 5-7 were not infringing. For the reasons set out in the blogpost, the Court of Appeal disagreed with the first instance judge and found that items 5-7 were infringing. As you say, in essence this was because the court considered that these uses were more than simply informative. There was no appeal of the first instance judge's finding that 1-4 were infringing, presumably because the defendant had no grounds for appeal.